When I arrived home from NY Saturday night I was expecting warm-ish DC weather, but the city had other plans, it was COLD! I needed to heat up, so what better way than with some warm fall meals? 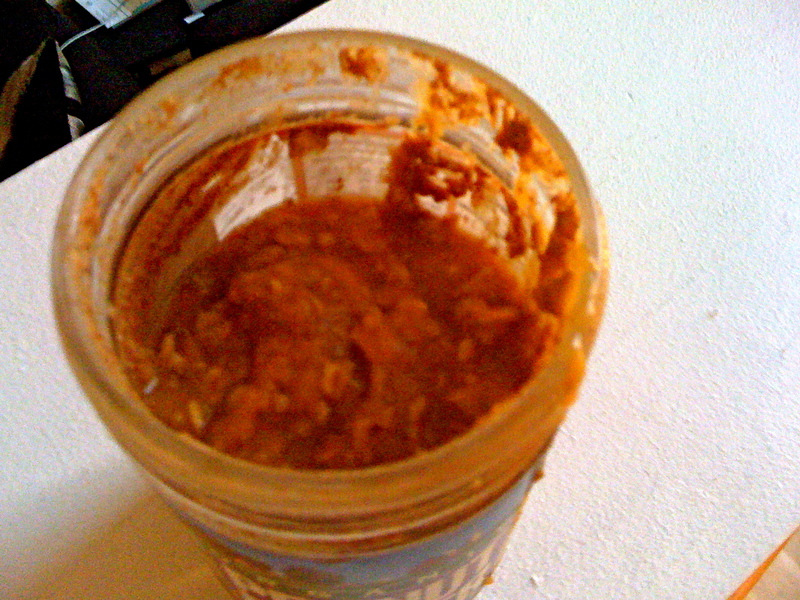 I started the next day with my usual oatmeal, but to spice it up I had my first ever Oats In a Jar (OIAJ). 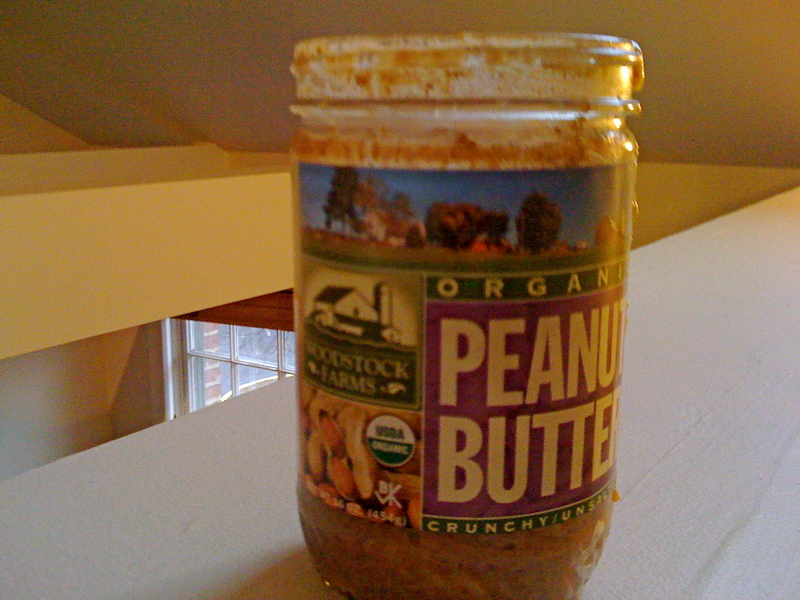 I had been waiting forever to get my jar of peanut butter down to 2 Tbsp, and once I did it was time to use it wisely. All it took was preparing my oatmeal as usual, and adding it to this jar! For some reason, Oatmeal just tastes more fun this way. Highly recommend trying it. For dinner I wanted something spicy and hot and immediately turned to Chili! 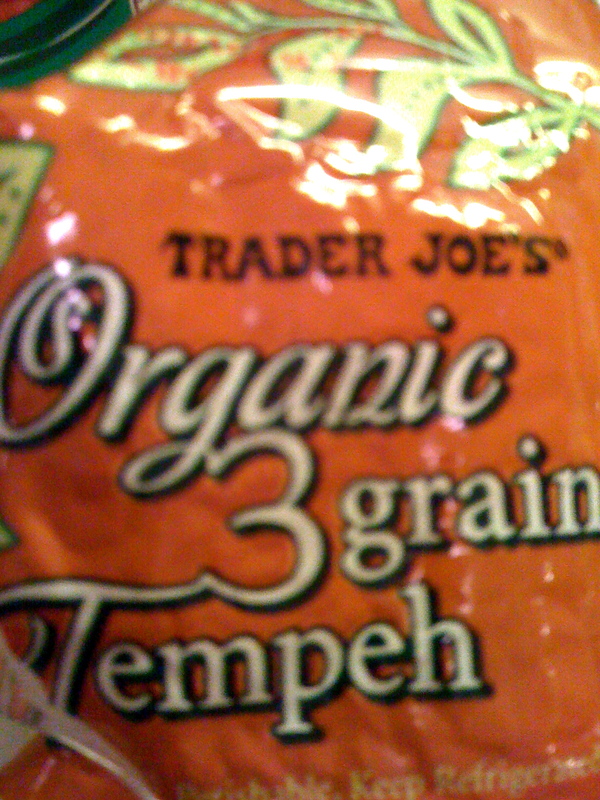 I have had a package of Tempeh in the fridge that needed good use and would be perfect for some protein in my soup. Tempeh is a meat substitute, similar to the idea of Tofu, but it’s more cake-like and is mixed with different grains for a unique feel. It’s also full of protein and healthy fat for a tasty and satisfying ingredient! I found this Tempeh Bell Pepper Chili recipe from Whole Foods and began to prep. 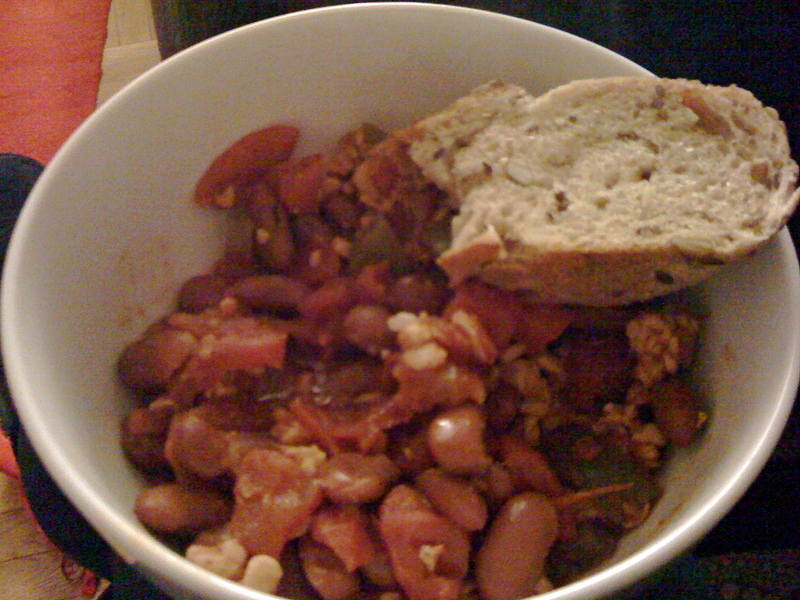 Served with a side of multigrain flax bread This Chili was soo good! And easy too. Perfect for a cold fall day. Heat oil in a large pot over medium high heat. 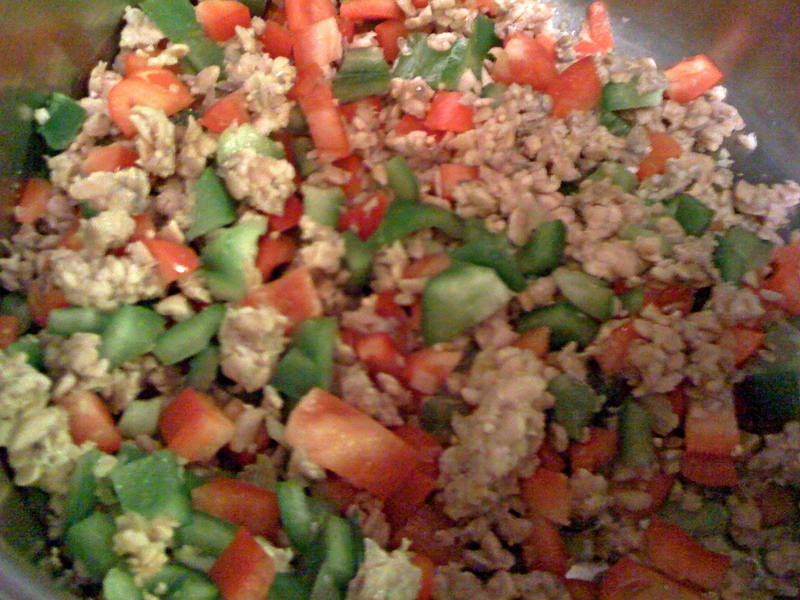 Add tempeh, bell peppers, garlic and salt and cook, stirring often, for 5 minutes. 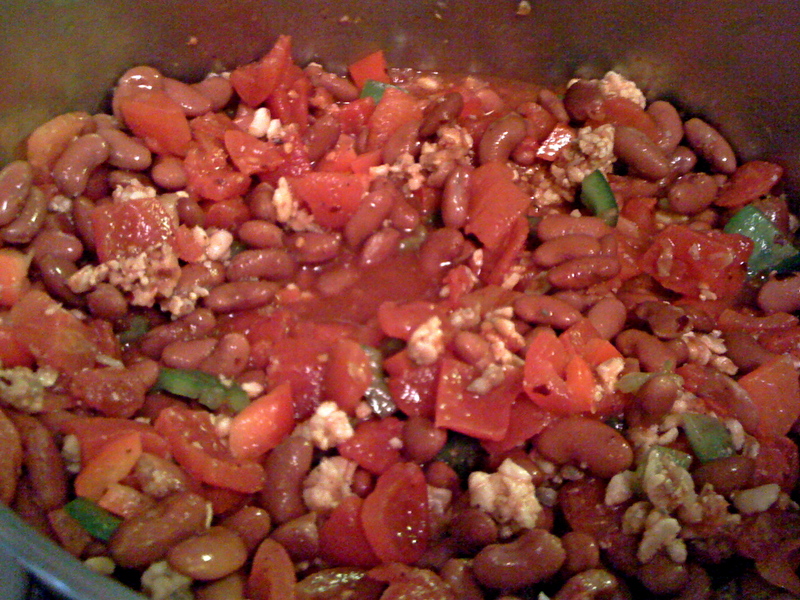 Add beans, tomatoes, water, chili powder, bay leaf, cumin and pepper flakes and simmer, covered, until flavors meld, about 30 minutes. Remove and discard bay leaf and season with salt and pepper. 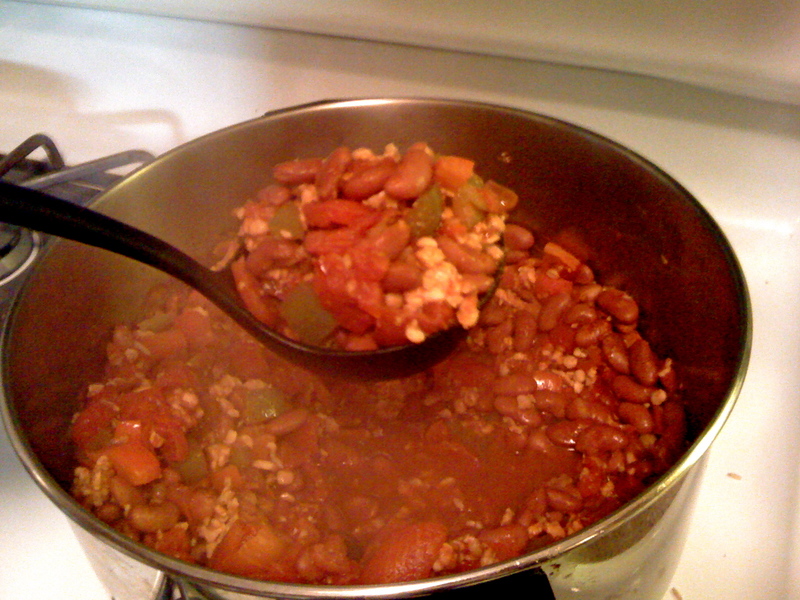 Ladle chili into bowls and serve with chips or bread. Spice up your usual meals by adding a twist. Experiment with healthy foods and new ingredients to keep it fun and interesting. Have it Your Weigh. The chili was so good! I highly recommend it. It would be a great addition to the party if you decide to make it!